A former football coach and scout arrested as part of an investigation into allegations of abuse in the sport has been freed on bail. 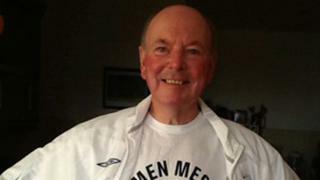 Michael Sean Carson, 74, and known as Kit, from Cambridge, was detained on Friday on suspicion of indecency with children and indecent assault. He has worked for clubs including Peterborough United, Cambridge United and Norwich City. Police said a man in his 70s arrested on Friday was bailed until 6 March.